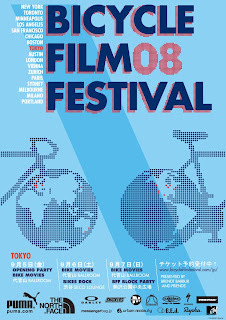 The Eighth Annual Bicycle Film Festival is coming to Austin, TX on September 19-20. This is the first year Austin will host the event. The other 17 cities in the World Tour include New York, London, LA, Tokyo and Paris. The organizers are looking for help in organizing the event or just spreading the word. If you'd rather just go watch, the screenings will be in the 150 person capacity theater at Studio 501 at 7 and 9pm on both nights.